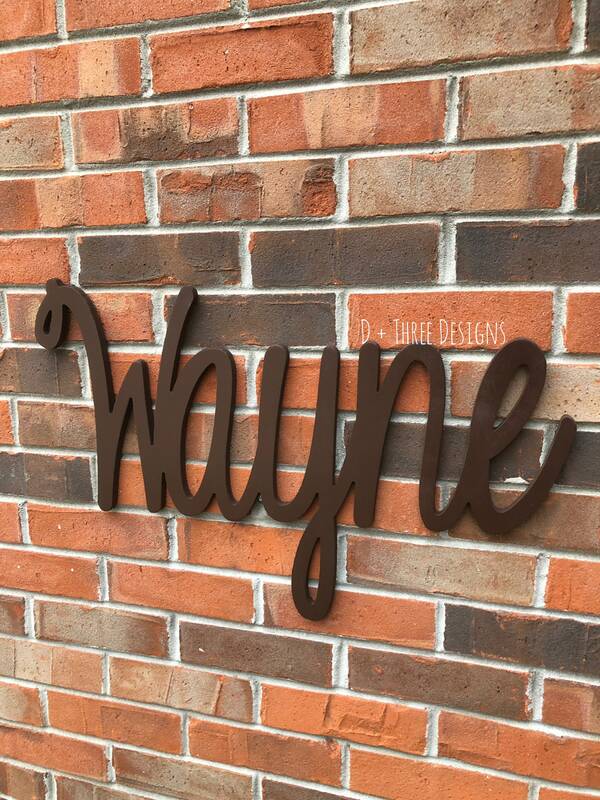 This painted wooden name piece is the perfect personalized décor item for any living room, kitchen, baby room, child's room, bedroom, front porch wall, etc.! 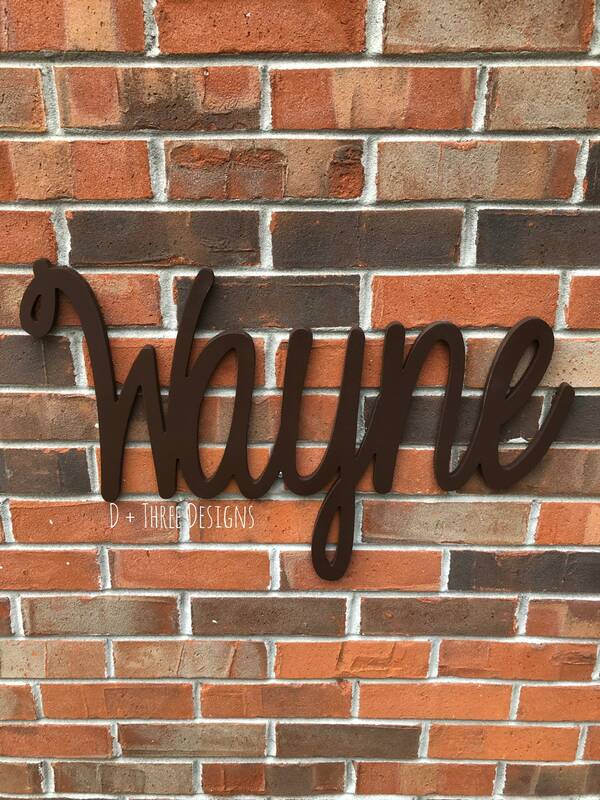 This hangs easily by resting it upon finishing nails on the wall. 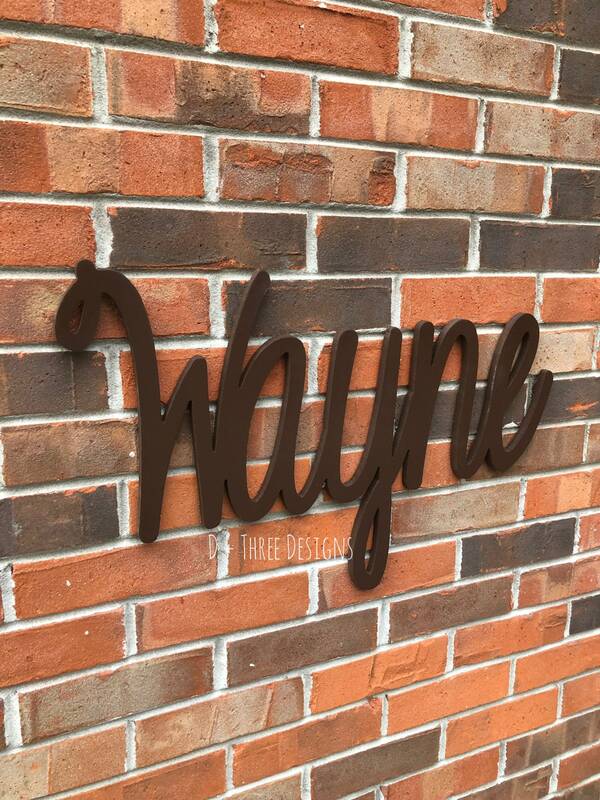 You pick the font and color. 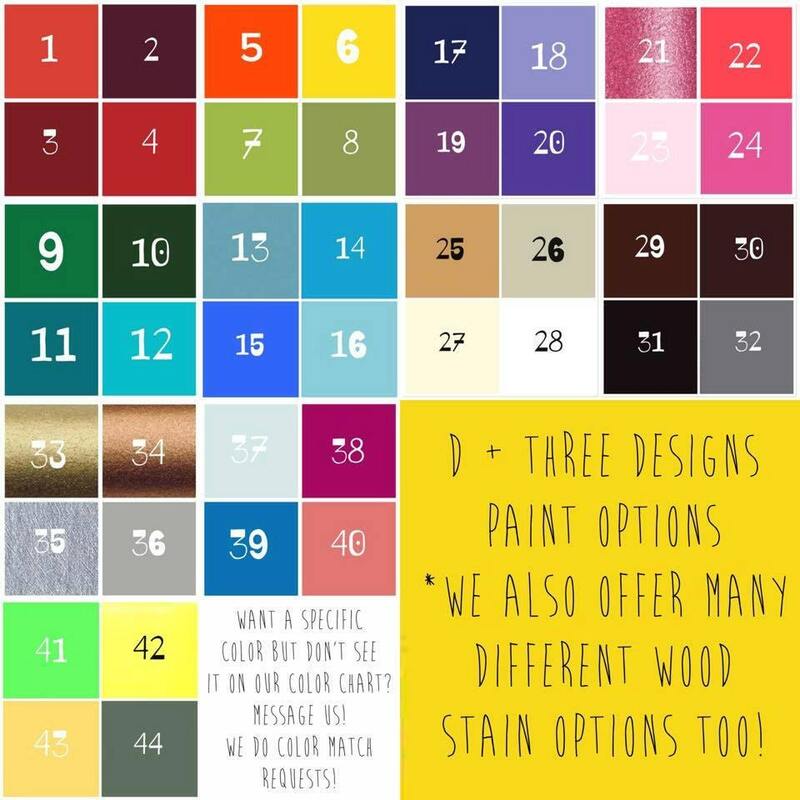 We have hundreds of font options and lots of paint choices (see the paint chart in the photos within the listing). Please put the name and color number in the "notes to seller" box.